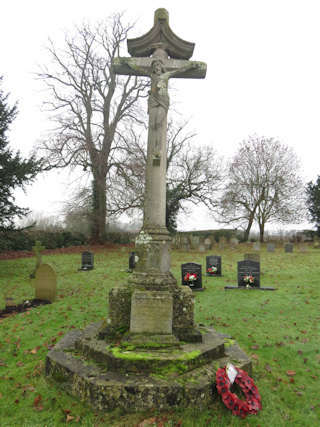 The churches of St Mary at Shelton and St Margaret at nearby Hardwick each have a memorial commemorating the fallen of both parishes. The main memorial, as shown in the large photo, is in the churchyard of St Mary. Inside the church is a list of the fallen. A large wall plaque gives the same names inside St Margaret's church.